I kind of feel like I dropped the ball in the gift department for Valentine's Day for Mason, partially because I forgot and didn't have time and partially on purpose, and so I wanted to get a head start with planning his Easter basket. There's so much fun that can surround Easter and I want to make it special for Mason this year. I was hoping that maybe he would be old enough to help dye some eggs this year, but then he threw his cup of Cheerios all over the floor the other day and I opted to wait until next year. Cheerios are a hell of a lot easier to clean up than red or blue dye on my couch. Even though I opted against the egg dying this year, I still wanted to do something special for Mason. While I didn't want to go all out and spend tons of money, I knew there were a few things I wanted to get him. I'd been eyeing some stuff on Amazon for a while and what better time to buy something for your child than a holiday, right? At least that's how I justify my purchases to Seth. Anyway, here is Mason's somewhat small (and over flowing) Easter basket for this year. The basket looks super full, but really it's not. I had to stuff it with empty eggs to get the height and look I wanted and then I realized... why did I buy such a small basket two years ago? Note to self : invest in a new basket at after Easter sales. 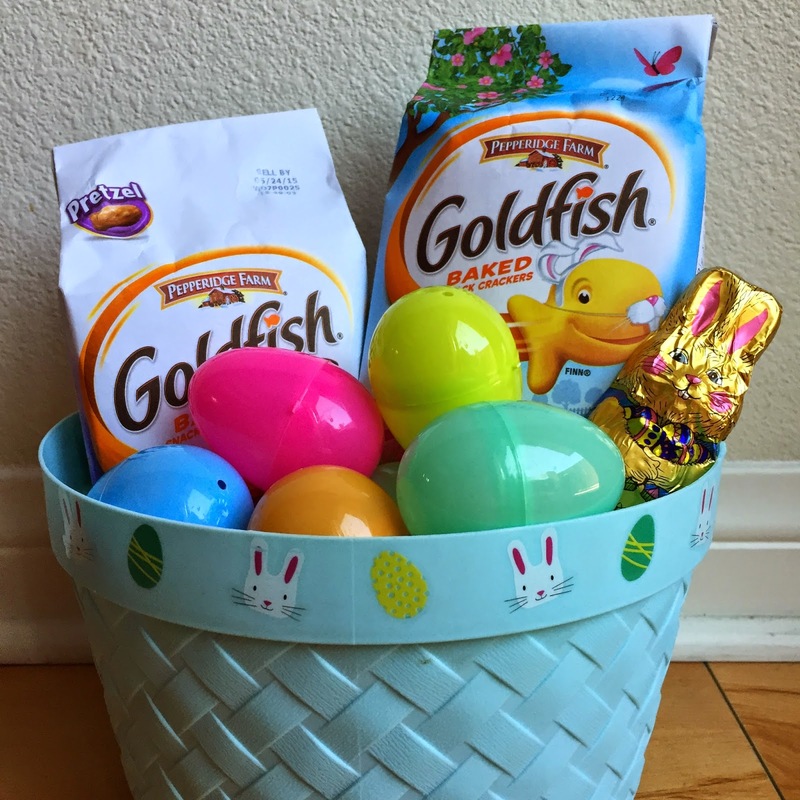 Inside the basket is all the essentials : goldfish and more goldfish and a chocolate bunny from See's. Then there are these babies. Honestly, when I bought them, I think I was more excited than Mason. I mean with the tag line "speeds across water", who wouldn't be excited? But alas, all things that seem too good to be true usually are and while they do not in fact "speed across water", they do make Mason SUPER happy in the bath and that's all that really matters to me. I had bought the Dusty and the Blade at Toys R Us with a coupon so it was essentially buy one, get one free with the intentions of giving them to him for Easter. And then I got a little too excited and gave them to him early. I've also been eyeing these books on Amazon for forever. I think originally I learned about them from Jessica and was a bit bummed to find out that they were hardcover and slightly more expensive than I normally spend on books for Mason. So I added them to my cart, saved them for later, and have been watching the price for a good sale for some time now. One day I signed on to Amazon to get something completely different and lo and behold, they were both on sale for 45-50% off! Add them both to the cart and I am pretty excited to start reading Dragons Love Tacos and The Day the Crayons Quit to Mason. I also bought some super fun egg shaped glasses and bunny glasses in the Target dollar spot section in hopes that Mason would wear them this year for a picture. But I'm thinking it will be more likely that you will see a picture of Seth and I in them instead. A mom can dream. Side note : all links are Amazon just purely because it is easier to find things on Amazon. If you want to buy any Planes Hydro Wheels, I highly encourage you to shop around because in this rare instance, Amazon is, in fact, not cheaper! 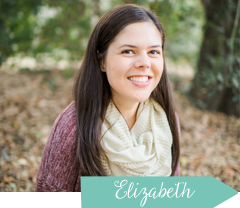 Linking up with The Good Life Blog. He is going to love his basket! We do the same thing... Give noah things early because we are so excited about it! Oh and this year to take a picture of Noah's basket, I bought a piece of foam poster board to act as a background, then put the basket on Noah's white table and placed it so a window was on the side with sunlight shining in. You could also use a trick I saw on Tawnya's blog and use wrapping paper as a background. The key is setting it all up near a window for that light. hahaha that is too funny that you gave him the planes early. I'm the same way. So much self control to not just give Aria things early. I'm excited to give them to her almost as much as she will enjoy them. It is hard! So fun! I need to get my boys' filled! Mason is going to love it! I am totally the same way when it comes to giving presents to Reese. I give things to her early, when I had intended on saving it :) Love his basket- especially the books! Perfect, perfect basket!! We had a close call with Mia on Sunday when she spotted her tea set and started crying when we wouldn't let her have it. Eric distracted her with chocolate while I ran and hid it. She kept looking for it after that but didn't start crying, ha ha! I've been holding out so well! I think he's going to love this Easter basket! Everyone says those two books are so good. And bonus that you found them on sale! What a fun basket!! You're too funny, I'm totally the same with gifts, I can never hold on to them for long (in fact we got a super-deal on a balance bike that was going to be for Tyson's bday, but we decided to give it to him for Easter, but Dan is partly to blame for not being able to wait on this one!!). :) The crayon book is pretty cute, haven't read the other but might need to add it to our list. Can't wait to see you all in your funky glasses. :) Happy Easter, friend!! Dragons love Tacos is a favorite around here! We always reference 'tummy troubles' haha! oh! great books! I haven't been on my a game lately and didn't get the girls a ton of stuff for easter either, so lets see if decorating eggs actually happens ha! Awesome! We have both those books and love them! Mason will love them too. And we are also loving all things Planes and Dusty! Such a cute basket! I have everything ready for Jude's basket, but no basket! #momfail And it is sooooo hard not to give Jude things right away because I get so excited about them! It's been a struggle because his first birthday is two days after Easter and I have so many random things stored to give him!! We also have The Day the Crayons Quit, which is so awesome. But, we don't have the other. Adding it to our every growing list of books! Those books are so cute! And I did that same with Valentine;s Day! i'm so bad. i always want to give lex her presents early too! its impossible to wait. his basket & goodies are adorable. hes going to flip! Dragons Love Tacos sounds like a hilarious book! I like having something fun to read especially when it's all that will make the cut for bedtime for weeks on end! :-) I'm sure Mason will love it all! I read that dragons love tacos book at target a few months back...oh my word I love it! So cute!!!! I totally dropped the ball this Easter! I blame it on our travelling! We left Thursday evening for a camping trip. I made him a goodie bag for the drive to and from, but didn’t buy a darn thing for Easter. My thoughts were that I would pick up several things where we would be shopping over the weekend, but didn’t find anything. So when we got home from our trip on Saturday I had to run to Walmart and Target to put together an Easter basket for Mason. He loved it and that’s all that matters. It was stressful, though…being at those stores the day before Easter and there was NOTHING left! Next year I will be on top of it like you were this year. We didn’t dye eggs either. We don’t even eat the darn things…so I’m not totally unhappy about it. It’s just kind of an Easter staple to dye eggs. You packed the perfect Easter basket for your Mason! Way to go Mama.